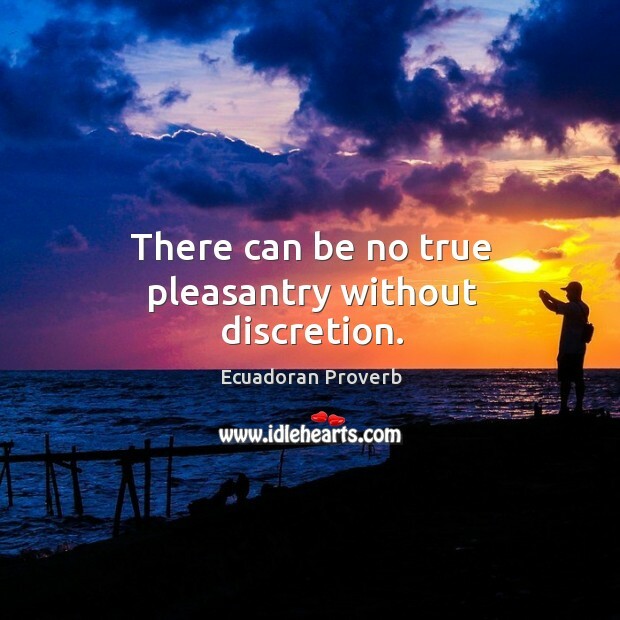 Collection of famous Ecuadoran proverbs, true sayings and wise words. Use words and image sayings to keep you moving forward! 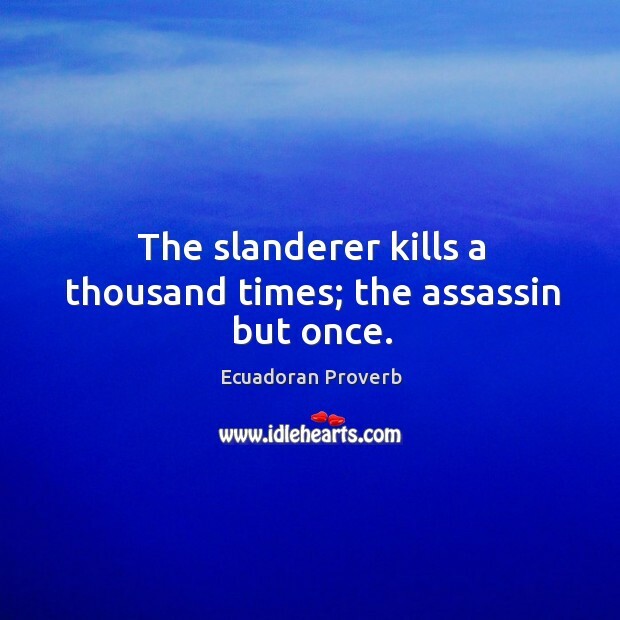 The slanderer kills a thousand times; the assassin but once. 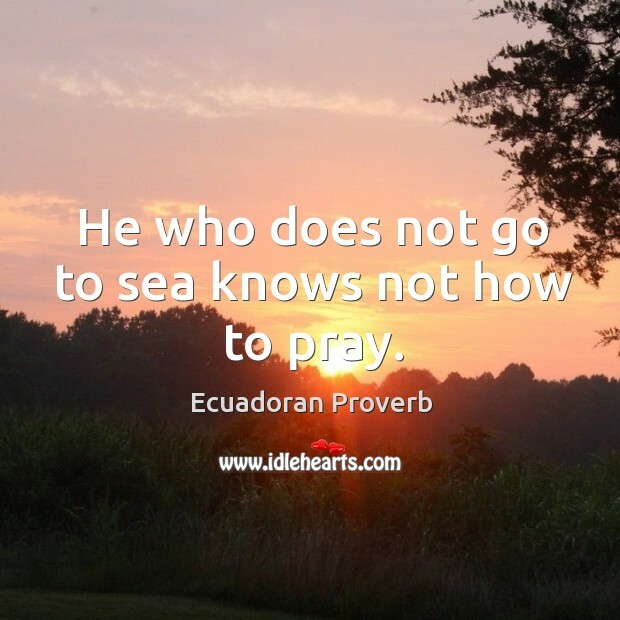 He who does not go to sea knows not how to pray. 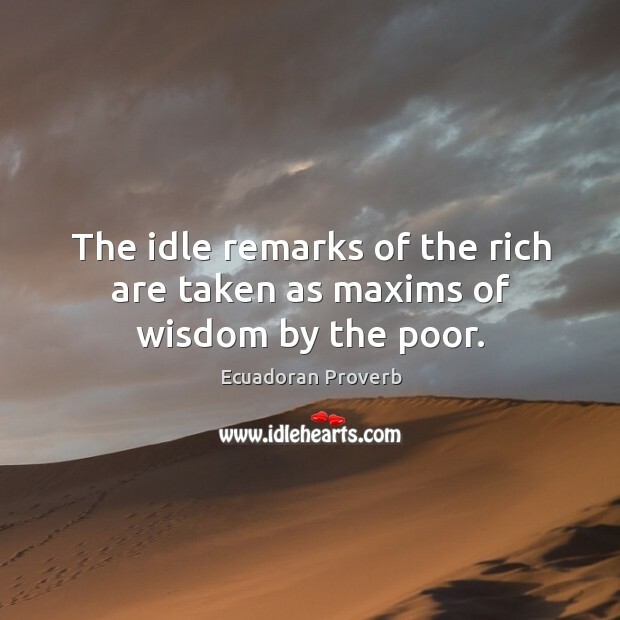 The idle remarks of the rich are taken as maxims of wisdom by the poor. 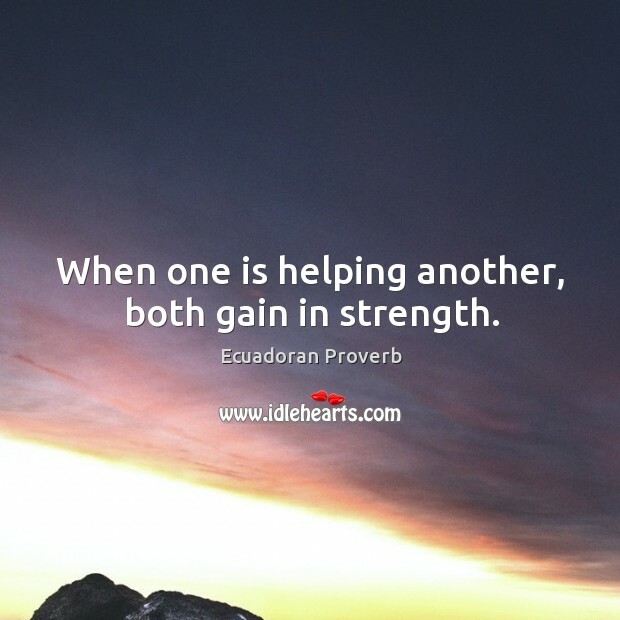 When one is helping another, both gain in strength. 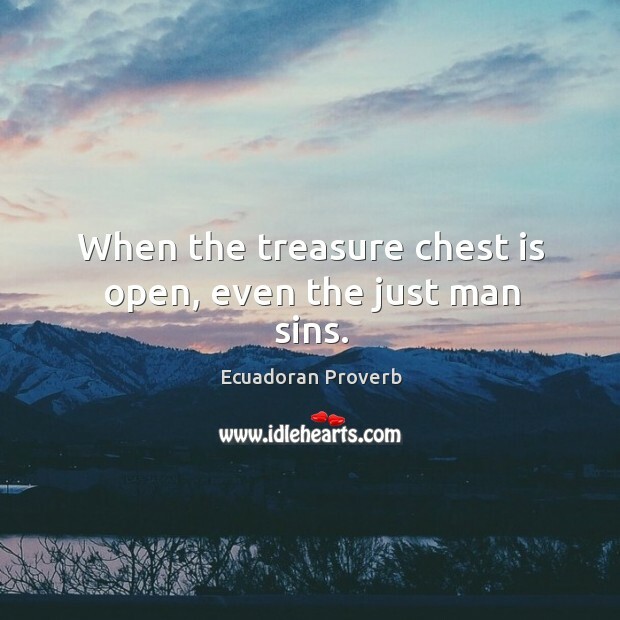 When the treasure chest is open, even the just man sins. 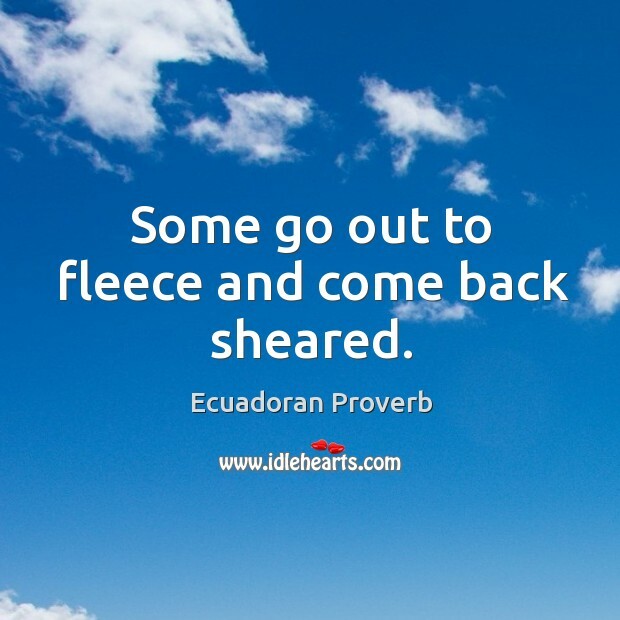 Some go out to fleece and come back sheared. 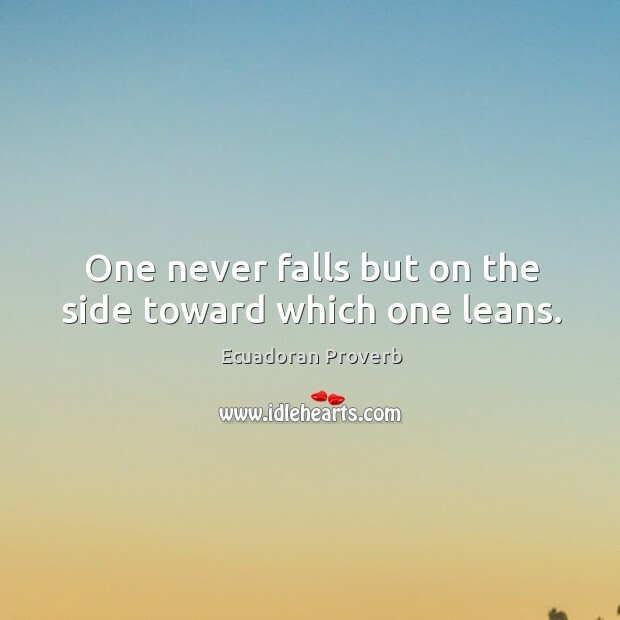 One never falls but on the side toward which one leans.